We are incredibly thankful to all the users who have taken their time to give provide feedback about our product. With your help, we have recently launched some new functions in Weekdone that will make using Weekdone even better. I wanted to provide a brief overview of the updates and introduce you to some of the new features. 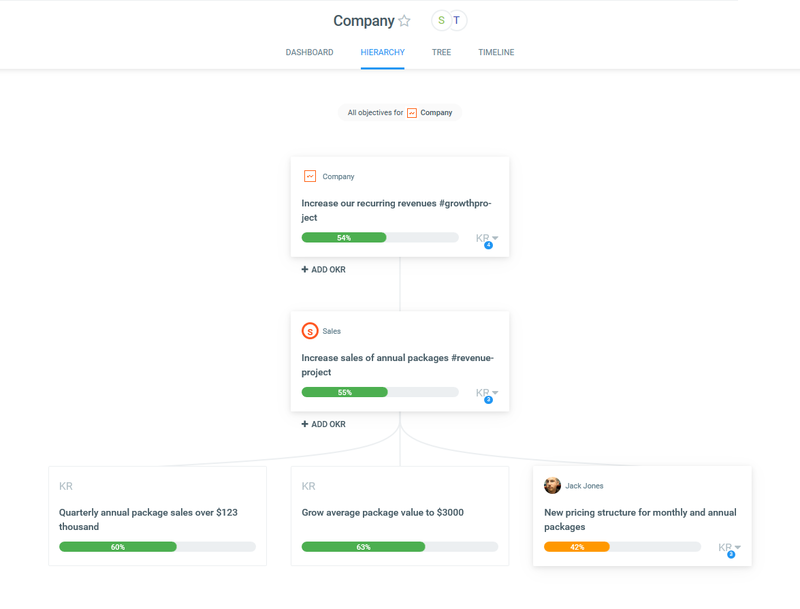 New hierarchy view will help you and your team visualise your company’s OKRs and their alignment across the entire organisation. It is a really powerful tool that shows you how each team and team member plays a part in taking your company closer to the end goals. It can be used to see the goal structure, current priorities or any problem areas that need attention. 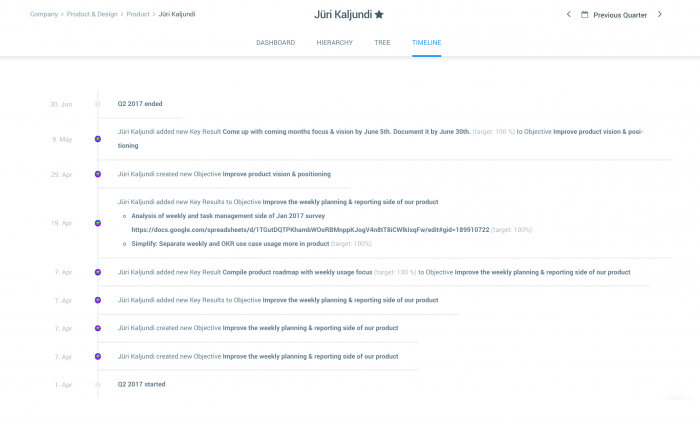 To take full advantage of this feature your company should use OKR linking. 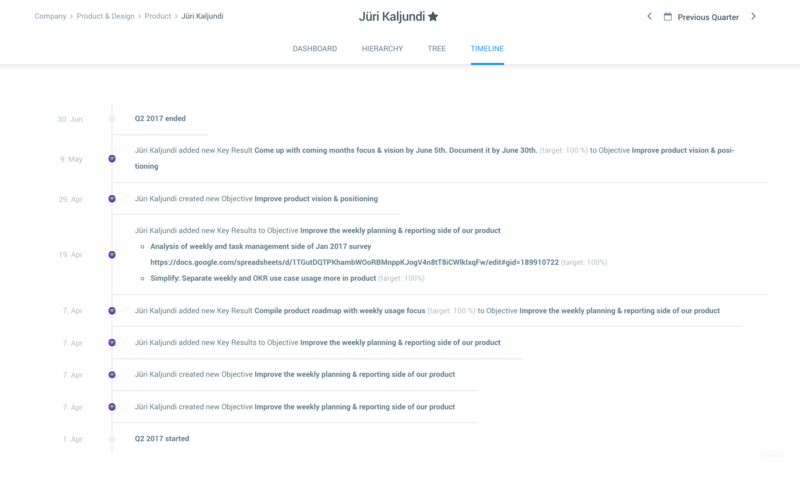 If you don't use it yet, then read this post about how OKR linking could benefit your company. If you ever wonder what fed into the success of a team or person, you can now take a look back and watch their OKR-s evolve through time. 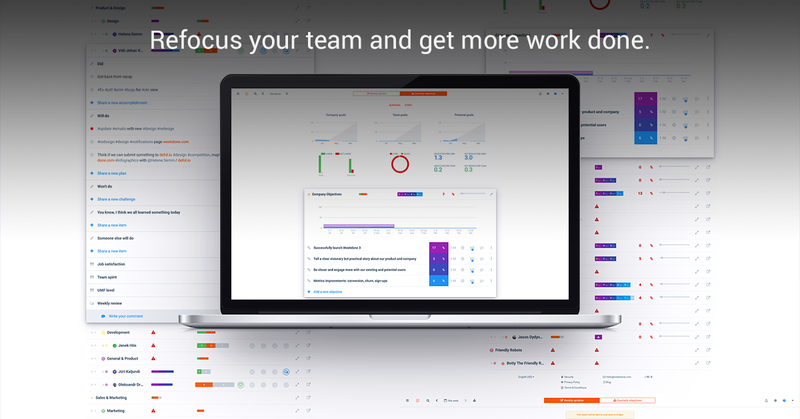 The most successful teams and people can be recognised by having their OKR-s updated every week or every month. 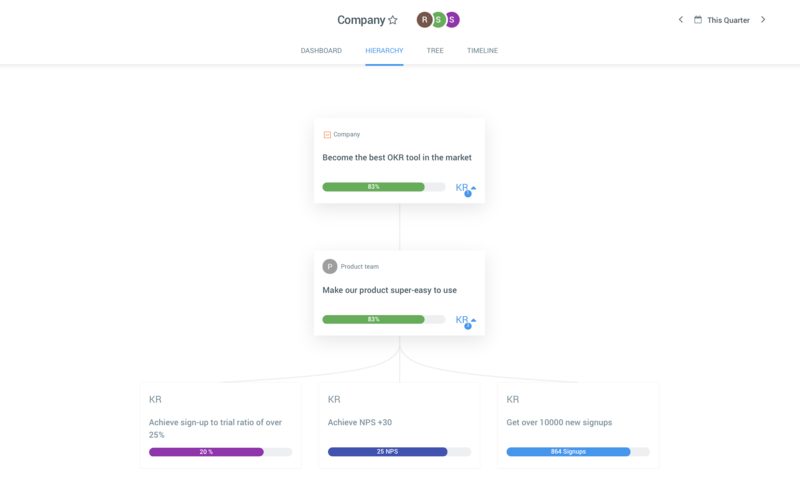 The new OKR Timeline will give an overview of any changes made to the OKR-s by date and can be used to assess if OKR-s are being used to full capacity or if improvements could be made. We introduced favourites to make it easier for you to access desired Teams or People by displaying them on your sidebar. 3. The favourited Team or Person will show on the left sidebar. 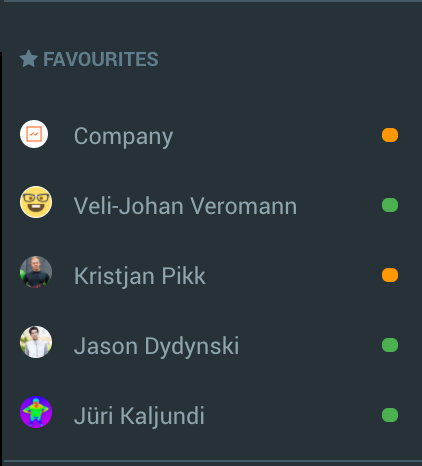 OKR sidebar will show you green-yellow-red colored dots, which indicate either if OKR-s are on track, at risk, or off track. This is a quick method to see, who from your team may need your help. Always be on top of things. Always offer your help to your team members who may need it. Company and team goals can only be achieved by helping each other. We have many more great features in the plans, all solving pains that we hear about every day from our users. Let me also know what are your pains when using Weekdone. Is there anything else missing you wish was there? You don’t like orange colour we use? Anything you have in your mind, big or small, please write to me reeno@weekdone.com and I personally guarantee all feedback will be taken in account and prioritized. Remember to follow us on Twitter, Google+ and Facebook for all about okr, okrs, hierarchial okrs and more! We're also on LinkedIn and Slideshare, posting about Weekdone Product & Company News. Subscribe to our Leadership Academy newsletter on building great companies for more tips about Weekdone Product & Company News. 23,300 awesome subscribers.